Since the Patriots traded for Wes Welker before the 2007 season, the slot receiver has been a go to target for Tom Brady. He has consistently made over 100 catches for the Patriots and has been a reliable target on third down…in the regular season. For a few postseasons now it appears that Welker has not been able to keep the momentum he has from the first 16 games into January. Welker has been a perfect Patriot since he has come to Foxboro, but it may be time to move on. This season the Patriots used a franchise tag on Welker after they were unable to work out a long-term deal with the 31-year-old receiver. Welker went on to have yet another 100+ catch year while totaling over 1000 yards and leading the NFL in yards after the catch (just another ho-hum year for Wes). One of the most amazing things about Welker in the regular season is how reliable he has been on third down. As I watched every Patriot game this season I was always amazed how it seemed whenever Brady went to Welker on third down, they were able to move the chains. During this season, I was a big proponent of giving Welker another contract. I was ready to give him anything he wanted so that he would remain a Patriot, but after yet another disappointing playoff loss I think it might be time for the Patriots to move on. For the past two postseasons Welker has not been Welker. Uncharacteristic drops have plagued him and have probably cost the Patriots a Super Bowl and the chance at another. This isn’t just about Welker though; it really is more about the offensive strategy of the Patriots for the past few years. Using receivers like Welker and even Brandon Lloyd (who obviously is afraid of contact after some of the catches I watched him make this year) is not the way to win championships when you have to play defenses like the 49ers, Ravens and Giants. Teams like that will just rough up these smaller receivers and make it impossible to move the ball through the air. The Patriots toughest receiver, Rob Gronkowski, was out for the AFC Championship this season and was rendered useless by an ankle injury in last year’s Super Bowl. A dominant player like him would have helped win those games, as he cannot be pushed around as easily. The Patriots need more players like Gronk. how silly that sounds. Obviously any team would want more players like Gronkowski, the man is a freak of nature a once in a lifetime kind of player. What I really mean by this is they need bigger and faster weapons in the offense. Aside from being their toughest receiver, Gronkowski is also the team’s biggest deep threat. That needs to be changed. 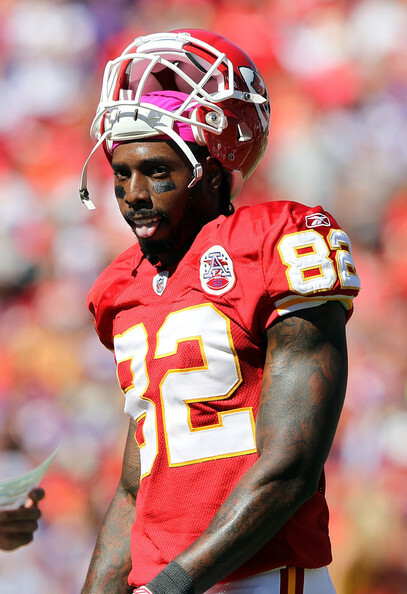 Giving Welker a new contract, or even placing the franchise tag on him again is just going to waste money that could go instead to signing a receiver that could help against those more physical teams; Dwayne Bowe and Mike Wallace who are both pending free agents come to mind. Welker has helped the Patriots win a lot of football games in the regular season, but he has made too many mistakes in the playoffs to be on my football team. It’s time for the Patriots to move on from Wes Welker and change their offensive mentality. I firmly believe that they will find ways to win games in the regular season without him and instead bring in someone who can help them go back to the Promised Land and bring that 4th Lombardi to Foxboro.